Money manager Peter Schiff says, “The stage has been set for a currency crisis and a sovereign debt crisis, and they’re going to come relatively soon.” Schiff says the latest round of “unlimited” money printing by the Fed has only “postponed the collapse.” Schiff, who recently wrote a book called “The Real Crash,” thinks, “The longer we wait, the worse it’s going to be.” So, why don’t politicians do something to stop the collapse that many know is coming? For one thing, Schiff says, “The political backlash will be enormous. . . . Nobody wants to be the messenger who gets shot because of the message.” There is going to be a crisis dead ahead because, according to Schiff, “The dollar is vulnerable to a massive collapse . . . buy gold and silver.” Join Greg Hunter as he goes One-on-One with Peter Schiff, the CEO of Euro Pacific Precious Metals. “Following controversy over its purchase of around 1.2 billion bullets in the last six months alone, the Department of Homeland Security has put out a new solicitation for over 200 million more rounds of ammunition, some of which are designated to be used by snipers”. The regime is engineering this and they clearly see it coming! Candidly, I feel like I am on an airliner that has been hijacked by economic and political terrorists and the only thing I can see in the foreground is the World Trade Center. Deja Vu? I agree. Although I think because of the internet, more people will know how this came about, and where to lay blame, unlike in 1929. 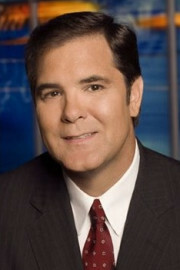 Greg my question is why would anyone believing a collapse is comming soon would sell gold, and silver ? I have never gotten a good answer to this. It makes me distrust everything people like peter has to say. If i were so sure of a collapse within 5 yrs id be buying, not selling, or even recommending people buy.the less people buy the cheeper it would be for me to buy. Everyone wants the best for themselves. this has always been true from the beginning of mankind. He sells pm’s to make more fiat to buy more pm’s. I hear/see this question or comment a lot where people are asking why dealers are selling there gold/silver. They sell it for a profit and then take that profit to buy more. Why would a realtor sell a house when house prices were going up? Why would a gas station sell its gas when the price is going to go up? It is the business they are in. Peter probably makes close to $50 for every ounce of gold he sells so for every 35 ounces he sells he can now buy 36 ounces. Think about it. jones11 Thank you for responding. Maybe thats why im not a rich man. If i have a dozen gold eggs i wouldnt sell a one of them for cash paper knowing there value will be 10 times more in a short while. It appears to me that the collapse of the dollar will not only lead to a rise in precious metal prices but will increase all things priced in dollars. Why is there always a suggestion to buy precious metals instead of other things? Meaning, if I own a mutual fund valued at $10,000 and the dollar loses 50% of its value, why would my mutual fund not be worth $20,000? Is it the case that there will be a flight from the dollar into precious metals and the demand will increase the gain to more than 50%? All I can say is tangible assets are going up relative to the buck. I told you about a month ago that the us tresaury would buy up the bad mortgages the fed was holding and the people that lost their houses would have to pay the us tresaury 25% of their income to the us tresaury until they pay off the loan on the houses they walked away from. YOU got sarcastic with me and said the us tresaury would not buy the bad mortgages from the feds and would not let me respond to a know-it-all like you are. PS: I am the one that told you about the exchange between Gen.Mcarthur&Gen Bradly at Walter Reed Hospital. What happened to you that changed your disposition from being an affable nice person to the a cranky old man. As for myself I am a 70 year old nice guy. I don’t know what you are talking about. The Fed has been buying mortgage debt all along. That’s what QE 1 and QE 2 were–and now QE “Unlimited.” You have been right all along and I cannot disagree. I honestly do not remember disagreeing with you, and if I did that was a mistake. I get hundreds of comments and emails everyday from 5 different emails and two different sites. If I came off like a “know-it-all ” I did not mean too. I don’t really know that much but I do know the country is in deep financial trouble and it is getting deeper. Thank you for your comment. I hope you come back and forgive me. Greg, You are a class act and we love you for it. Think of PM’s as insurance for your buying power…..the massive amounts of fiat currency created over the last 30-40 yrs. has decreased the buying of the dollar to a fraction of what it once was. Consider that a 1 oz. silver coin back in the mid 60’s and a dollar could each buy roughly the same amount of gas…..now the silver coin is worth 8-9 GALLONS of gas and that fiat dollar bill is worth apprx 1/3 of a gallon……that shows how devalued our $ has become. Because you are going to want real assets in your control. Meaning that you want pm’s (hard currency) in your hands when the shtf. You are right. I believe everything will go up until or if the whole system crashes and your bank account or brokerage account holding the mutual fund disappears. MF Global ring a bell? For those of us unable to amass a sizable cache of gold/silver, I suggest that there’s a fallback (semiprecious?) metal lying in the wings of the drama now playing out as The Dollar’s Defalcation: COPPER. About 35 years ago, I inherited several pounds of pure copper watch fobs from my grandmother’s estate. Besides their engraved historical value, they might help me buy some food in the black market once martial law sets in. I have been throwing 1982 and earlier pennys in a jar for years now. They were 100% copper and will be easy to use as will 1964 and earlier silver coins. Today a silver dime is worth a little over $2.50 so two dimes will buy you well over a gallon of gas. Gas has not gone up the dollar has lost it’s purchasing power. I have been able to get the understanding clear in my mind that the dollars PMs are worth doesn’t mean much. It’s what the value of goods and services the PMs are worth that’s important. Good work will but try to pick up some silver at the very least. QE 3 is just another bailout…. We have had other programs between QE2 and QE3 so this in reality is QE 5… Can you get Gerald Celente on? Thank you Bob for weighing in here. The problem with economics is that the government powers are so afraid of a recession that they start trying to stimulate the economy when ever it looks like a recession. This has continued all the way to the point where the actions of the government and Federal Reserve are no long effective, because of the saturation of all the stimulus, and reaching zero interst rates. As a result, the massive debt has overwhelmed any effort they can make. Food and water are the “hard assets” the working man needs to focus on. I live in a small rural town. The average wage in this county for the “working man”, i.e. the “employee”, is $7.25/hour. Gas is currently at $3.999 at the local gas station pump. It does not take a rocket scientist to figure out that the cost of gas to drive to the $7.25/hour job doesn’t leave much for shelter and food. And we are not even into the hyperinflation yet. As one who reverences God, I believe the words of trusted prophets as much or more so, as I respect the words of economists I feel are being truthful. You have had many on your website that I trust and respect such as John Williams, and some that I am less sure of. A prophet, like an economist, is known by the history of the accuracy of his spoken words. Twenty-six years ago David Wilkerson was given prophetic words which were “recorded” in two books: “The Vision” and “Set the Trumpet to Thy Mouth.” They are written records that one can go back to check the accuracy of what he said the Lord revealed. You will find the words spot-on in the “The Vision.” Almost everything he wrote has come to pass; others can be seen on the horizon to occur. That gives me confidence to trust what he wrote in the second book, which clearly refers to what is happening now. His prophetic vision contains more and I would advocate those interested should seek out the book. But if the “staff of bread” is broken and famine is sent across the land, all the silver and gold in the world will not buy you a slice of bread. Scripture does not say men cast their silver and gold in the street because it was worthless; scriptures says they will cast their silver and gold into the street because it can’t fill their stomachs. You can’t buy food if there is no food to buy and it matters not how much gold and silver you have. God is the giver of rain. The worsening drought in the U.S. (79% of the country in drought conditions varying from abnormally dry to exceptional — US Drought Monitor statistics, 9-11-12), if it carries over into a third year and worsens yet, there may become a food shortage from that one factor alone. Everyone says buy gold and silver. That is thinking only of oneself. That is selfishness. Just look around you, see your neighbors — the family across the street with small children, the grandma living alone in her modest little home and her modest Social Security check. What happens to them should food go hyper — or worse yet, food shortages. If you have wealth to stock away in gold and silver; maybe you should consider putting up food to help the family across the street and grandma left all alone. The Lord will bless those who look out for their neighbor, especially the widows and orphans. Times of trouble are not for hoarding gold and silver and thinking only of your own welfare. Times of trouble are for looking out for our neighbors and giving a helping hand. Don’t be one of those when the Lord brings famine across the land that will be throwing his silver and gold in the street because he is hungry and there is no food to buy. You cite that ‘everyone says buy gold and silver. That is thinking only of oneself.” Really? So if a Hurricane is approaching you would not prepare for if doing so you would be thinking of yourself? Can’t seem to grasp the logic of what your trying to purvey.I agree we should help our neighbors but what you seem to be saying is that preparing is futile if one decides to buy silver or gold. I believe much more can be done for my neighbors if I own both PM’s and food. You also cite Bibical references stating that gold and silver will be worthless. What you omit however is the timeframe it will be worthless as it stated in Ezek 7:19 when on the “day of the wrath of the Lord..” when those wealthy children of disobedience will try in vain to buy their way out of trouble. Until then there is nothing in the Bible that states gold and silver will be worthless. Also you state that there will be this great famine that will plague the earth and everyone will starve. Yes there will be shortages but it will not be for scarcity but the inflationary price as stated in Revelation. The famine (without getting into a dissertation) is something different in the end days as spoken of in Amos 8:11 where it equates to hearing the truth or the Word of the Lord. Remember that Christ spoke to us that the bread He offered was not to be eaten physically. In other words you better be more prepared with the real truth in the end days in lieu of the lies or the smoke that rises from the pit. That gold and silver stashed away could be used to pay grandma’s rent. Those with food to sell would be happy to sell for silver instead of worthless fiat. I see PM’s as an interim store of wealth. As a collapse and chaos progress then it may be of less worth in a real scramble. But to store food, clothing, boots, ammo, thread, medicine, and all those other necessities of life is a must. Preservation of purchasing power in a small space—PM,s. Oh, don’t worry so much. Obama is god and he will take care of everyone. And if you are one of the “lucky” ones with money he will get it from you and give it out to the rest because if you are successful “you didn’t earn it, someone else gave it to you”. Taking care of you and yours is the most patriotic and responsible thing a person can do. It is all we are truly responsible for. All the rest is just guilt and propaganda. Just think of a world where everyone did just that. Took care of themselves and their families. Truly think about it. Good Luck, Rebecca. I think you going to need it. Greg it is offical.your website is bigger then you are. congrats. Wow! Jay! I always wanted it to be more than me. Thank you for being part of it and for the kind words! In the recent news a Florida “Professor” forced her students to sign a pledge that they would vote for Obama and the Dem. ticket down the line. My guess is that over 90% of her students had no problem with that. Mr Schiff did a “man on the street” interview about corporate profits among mostly young people at the DNC which is really sad/funny. Bernanke is a buffoon but to blame him entirely is a mistake. Romney made a huge mistake for a politician – he TOLD THE TRUTH – 47% of the population are on the dole and do not want to rock the boat, unfortunately a torpedo is on the way and it is time to lower the lifeboats. Unbelievably — as hard as this is to comprehend — this president is out to annihilate this country so as to start over and “get it right this time” . Keystone must be built – drilling must begin again in earnest – corporate taxes have to be lowered ( yeah you morons -so they can make money and HIRE PEOPLE) sorry but I can’t tolerate the occupy bilge one minute longer. I was not offended that Romney said the 47% don’t pay taxes. What I am offended by is how BOTH parties will not say a word about the “Unlimited” banker bailout going on to the tune of $40 billion a month of buying sour banker NBS debt. If we want a fair system the banker bailouts must stop. Neither party will say a word about it. I is not “stimulating” the economy just bailing out banker fraud and insolvent banks. Thank you for your comment and link. Listening to Mr. Schiff, Mr. Jim Rodgers & Mark Farber etc. for example we know that longer term the US $ has pre-arranged meeting with Zilch, Zero, Nada value don’t we? However, in the shorter term perhaps over the next year or two, some analysts are providing many reasons why the US $ wlll rally higher. These commodities games are rulled by professionals who produce many more winning commodities trades than US ordinary folk which means be careful what you think before you act in your own best interests. Do not throw caution as they tell us to the wind and do your own due diligence, before you leap into the market fry. One analyst last week from Weiss Research in Florida provided 9 reasons for a $ rally but right now both his name and his reasons ellude me. You might decide you want to find their services on the internet and give them a call, to get a more thorough idea/understanding for their contrarian view points? GOD gave man a brain to think with, to learn with & if he does not use it for the good of all around him, he is a waste. What Greg does is not a waste nor what Jim Sinclair does is not a waste, they both try to help those who will listen to the truth! Being prepared is vital to life its self, knowing how to hunt, fish, growing your own food is a part of life I learned very early in life & I have passed it on to my children as my Dad & Mom passed to me, even knowing what is real money was passed on to me at a early age as a hobby that laid the foundation to trade a single penny for many oz’s of gold. Now I pray for those who will not take the truth & use it to help themselves because they follow idols who lead them to a false feeling of security that will end in a very bad way as they turn on each other for a crumb of food as their idols go into hiding, scared to show their face! Greg, we the people have let this happen to ourselves, congress does not work for us, we work for them, they promise so much & deliver so little & we keep voting for the corruption that is our government & until that changes we will only continue to be slaves to the corporations. The gov is going after pensions, savings of all & you have to act yourself to protect what you worked so long & hard for. Google “SElf Directed Custodians” per http://www.jsmineset.com, Jim can not do it for you, yet he has pointed out what to expect & how you must claw your way thru the clueless people who only care about themselves, don’t waste time, turn off the TV & save what you have left, if not don’t blame the system that will be happy to leave you broke! I have a lot to be thankful for, Greg your relentless efforts to weed out the propaganga so we who seek shall find the truth no matter how bad it is or how bad it hurts to except all is not well. Well done is a under statement, thank you. I don’t know about this anymore as they continue to make predictions and the kicking the can down the road. I think alot of good people are going to get hurt and the bad guys are going to slip off into some dark hole, never to be heard of again. The Truth be said, It can not be fixed and we are headed for some Bad Times. Believe me. I have read and heard about it more than a body can stand and to my astonishment, I thought there would be more people atuned to what is happening in the world. Just not the case. Take a look around you. Has anything changed? What’s in your Wallet? The little green pieces of paper don’t last long, do they? So have they said anything new to give you confidence that things will get better. They talked about Glass-Steagall and a gold standard. How many unemployed. How many on Welfare. What is the true inflation rate. And the CPI which substitutes the products to a fantasy core inflation rate. Instead of hamburger, get ready for horse meat. Oh, and please, let me not forget about the bounce in housing and car sales. To the new people getting here. Your learning curve is a parabolic rise to infinity on a line graph. The saving grace is that there is still time to learn. When The Powers That Be decide to pull the plug. Martial Law, Banking Holiday or Internet Shut Down. You are on your own and you will know the Truth. But but but will my Iphone 5 still work? Been to a mall near you lately? I can’t imagine what it will be like when the truth materializes. +2 to Michael Reyff! Controlled demolition of the economy anyone? 2% inflation for ten years NOTHING NEW UNDER THE SUN. just another war tax. Bank America laying off 1600 paper pushers, a union bus driving job don’t look so bad. I told the story of the old hillbilly and his bucket. The bucket never left his side. That bucket milk the cows ,feed the hogs and carry the evening meal to the shack. When the day was all used up it made a good foot rest. Unlike the bombthrower Celente, Schiff is accurate and worthy of attention. 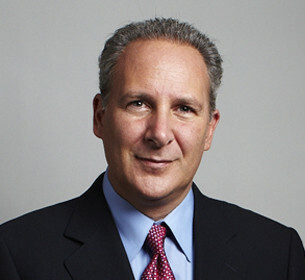 It is my assertion that Peter Schiff has made more people wake up to the impact of the federal reserve system than either of the Paul’s, and the other pundits combined. Thanks for posting his interview. There is absolutely nothing wrong in investing your money in basic necessities such as water, water purification, food, medicine, self-sufficient heating such as wood burners on property to grow your food with trees for fuel, a butane tank to fuel your butane generator, fuel saving vehicles – bicyle, motorbike, electric car, etc. The thing to remember is insurance is supported by money & the money collapse will deflate/eliminate your insurance coverage.